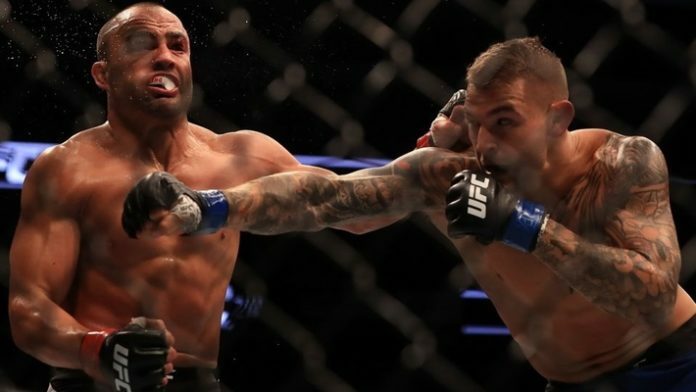 The long-awaited rematch between Eddie Alvarez and Dustin Poirier appears to be making its way to Calgary. With Poirier being nothing if not consistent with his desire to rematch Alvarez, it would seem that Alvarez has all but confirmed the fight will be taking place. Eddie Alvarez and Dustin Poirier are both coming off a key victory over Justin Gaethje and are each knocking on the door to being the first challenger for lightweight champion Khabib Nurmagomedov. By fighting soon, the winner of the fight puts themselves in prime position to face Nurmagomedov in November if the promotion is unable to come to terms with their first choice for Nurmagomedov, Conor McGregor or if McGregor is dealt a harsh blow from the long arm of the law. Based on today’s tweet, the bout agreement is in the mail all right, and fight fans across the globe can’t wait until it delivers once again. Who do think wins the rematch between Alvarez and Poirier?